Hey greenies, as you can tell I've been taking a break from blogging and youtube lately as my school year ended and to spend some time with family. 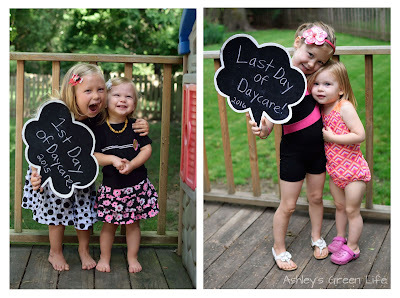 Things get pretty crazy during the month of May for me as I prepare to leave my full time job of teaching and transition to staying home with my girls in the summer. Being that I'm a week or so into my summer break I was tempted to jump right into blogging like crazy but my body was craving sleep, rest, and some time to just chill out. So I listened. I plan on easing into blogging this summer by doing a video at least every other week and if I get on a roll, then I'll have one once a week. I will take it week by week. Anyways, enough of my plans I thought you might like to see what I've been up to lately by sharing some of my favorite products of what I'm "eating, wearing, and reading" this summer (even though technically it won't be the actual summer season for a few more weeks, you know us teachers signify the end of school with "summer" so bear with me). This is a pretty random list, but instead of rolling out one of my grocery haul videos, or favorite make up product videos, I figured I'd mix it up and throw them all together along with a little preview of what I've got planned for this summer. 1. 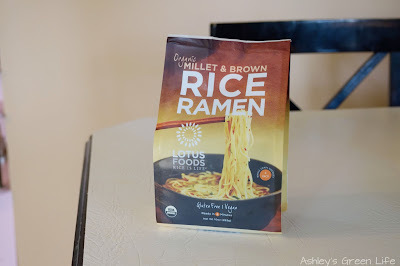 Lotus Foods Brown Rice and Millet Ramen Noodles- These gluten-free noodles are Mila's all-time favorite food. She asks for them for nearly every meal and I don't blame her! 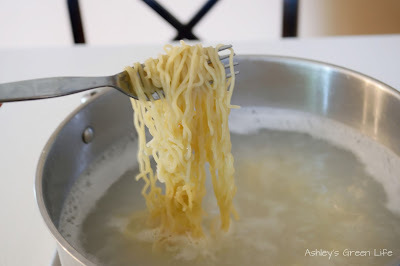 They taste great and hold together better than most gluten-free noodles. 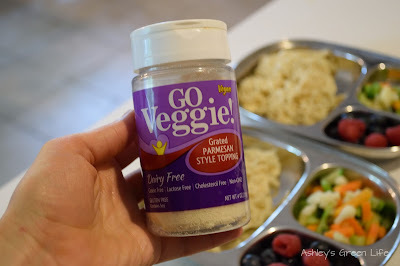 We love to have them with Go Veggie Vegan Parmesan. 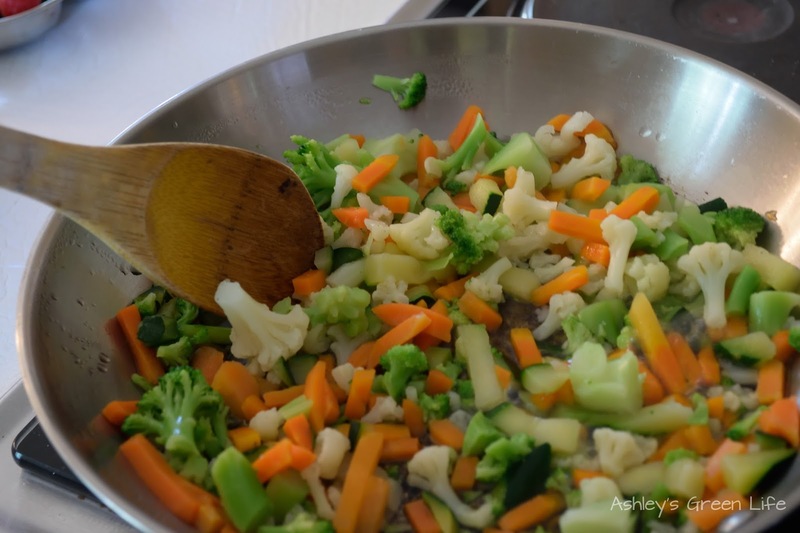 They would be great with a stir-fry sauce too! 2. 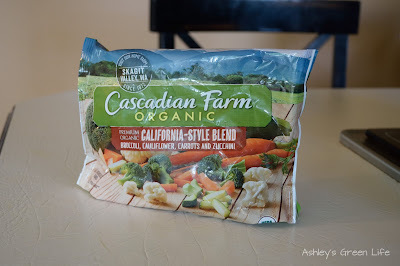 Frozen vegetables- Cascadian Farms Frozen Vegetables: California Style Blend, these have been another summer favorite of mine too because they are so easy! I don't have to chop all different kinds of vegetables, instead they are pre-chopped and blended together and all I have to do is cook them. This is one of our favorite blends. I usually sauté them on the stove top since I don't use a microwave. 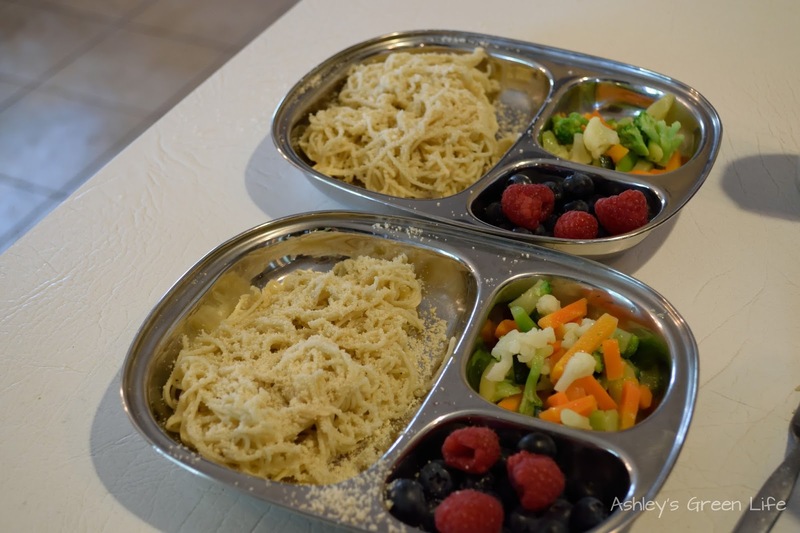 My girls' favorite summer lunch...Ramen noodles, veggies and fruit! 3. Little Secrets Premium Chocolate Candies in Dark Chocolate. One of my big plans for the summer is to potty train Mila. Avery was fairly easy and potty trained earlier from what I remember, but with 2 1/2 months off school I know I've got the time now to really get down to business with Mila. The only problem is she doesn't want to. So just like I did with Avery, I had to have a little incentive to get her interested. 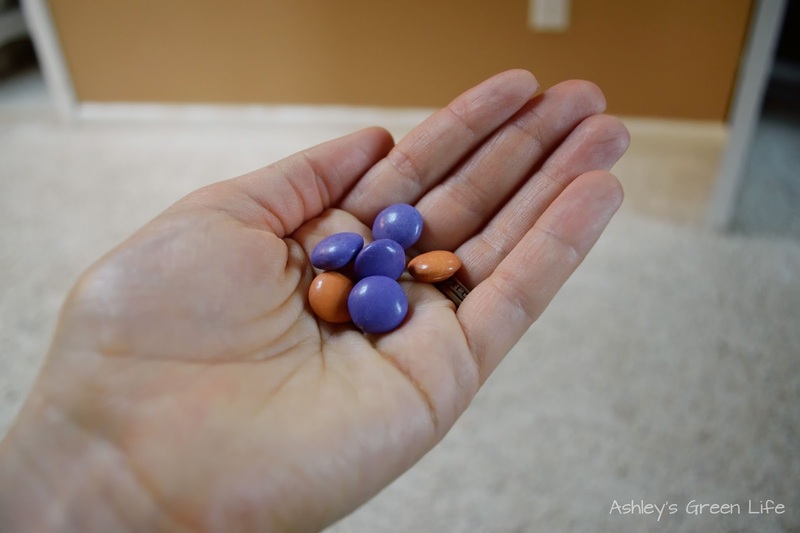 Vegan jelly beans or Annie's organic gummy bunnies? Nah, those are old news to Mila. I had to get something NEW, just for her. 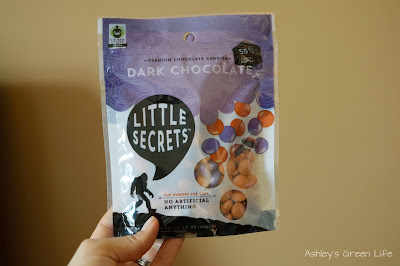 So when I found these Little Secrets Dark Chocolate Candies (they look like M&Ms but vegan and with no food coloring) I knew we found the perfect match. Technically they aren't 100% vegan because there are products in the same factory that contain milk so they can't officially call them vegan but they do not contain milk. Also, as I said before they don't contain food coloring either, they use natural food dyes to color the candies. 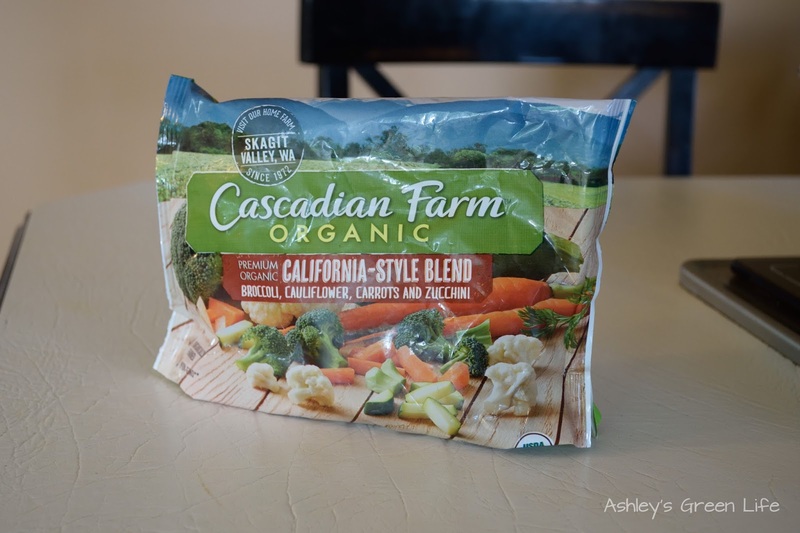 They are also in the process of becoming Non-GMO certified. Currently how I use them is if Mila goes on the potty she gets one...and somehow Avery talked me into giving her one as well. I don't blame her. I figured at least it would encourage her to support Mila in her little potty training journey. Wish me luck, as of now she's been wearing undies for most of the days and has been telling us if she has to go potty, even if we're out, which is pretty awesome! Let's hope it continues. 1. 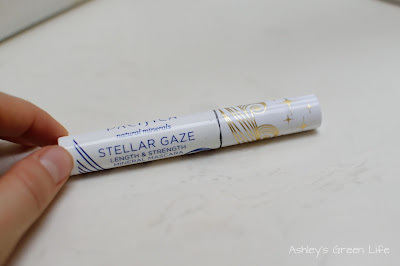 Pacifica Stellar Gaze Mascara in Supernova Black- Since posting my previous "green beauty products I'm using 2015" I've had some of subscribers tell me that the Physician's Formula Organics mascara I was previous using contained beeswax...which makes it not-vegan. Gotta love these sneaky ingredients. Not sure how I missed it for so long, but glad to know now. So I heard about this Pacifica brand and seeing as to how it was:100% vegan, cruelty-free, no parabens, talc, or mineral oil, and especially no beeswax I was game for giving it a try. It's been working great, if not better than my old mascara. So if you're looking for a vegan mascara this is a great one! 2. 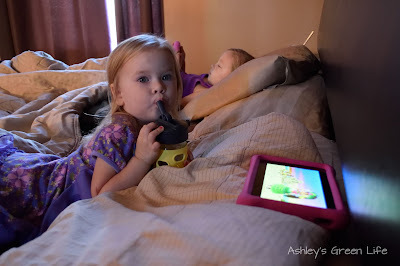 Toddler Magic Tea- So a few months ago Mila started waking up in the middle of the night several times. I was at a loss at to what the problem was and started Googling. 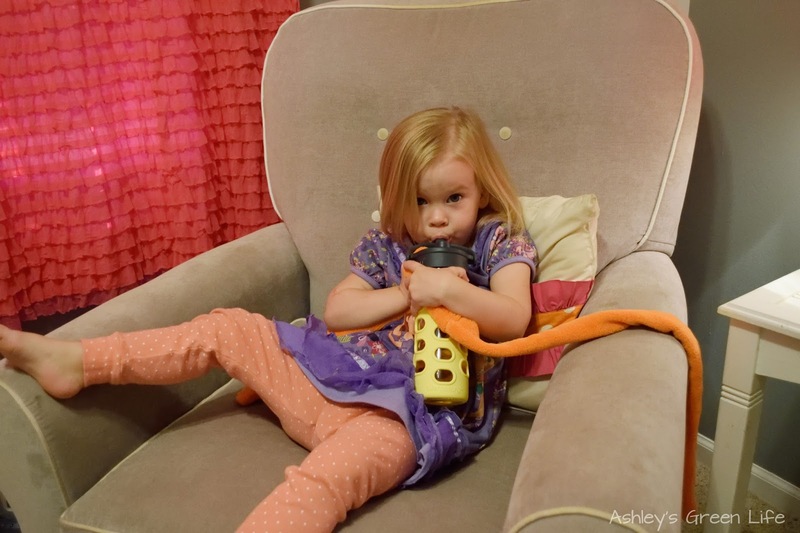 I came upon something called Baby Magic Tea and then later Toddler Magic Tea. Several people were claiming it helped their babies sleep better through the night because it relieved digestive issues they were having. So I decided to give it a try. 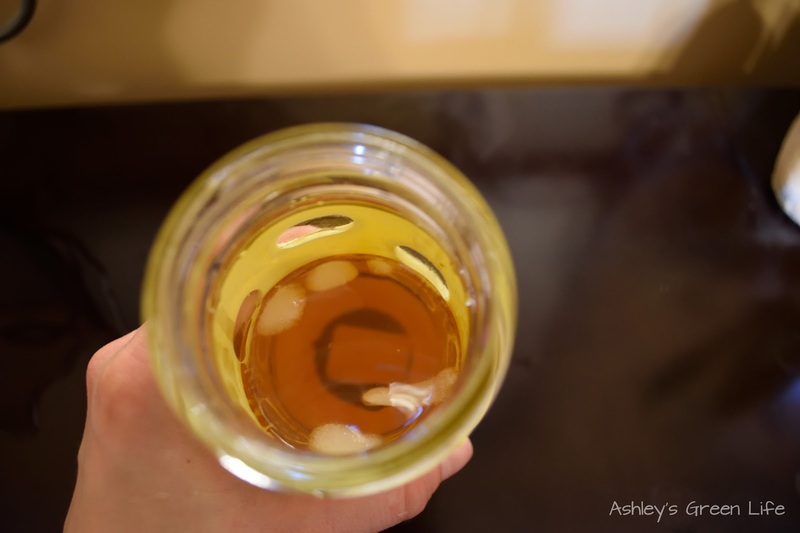 According to the tea's website: "It's a naturally sweet, non-caffenitated herbal tea that relieves constipation, improves digestion, and promotes better sleep. 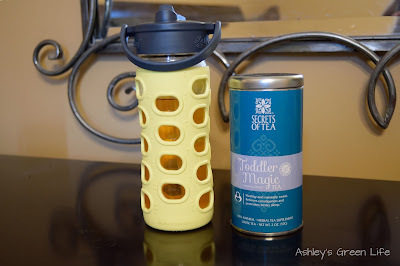 Toddler Magic Tea addresses typical toddler tummy problems common to developing digestive tracts." Since using the tea for a few months now Mila does seem to be sleeping better. Some nights she'll still get up once, but it's much better than before and some nights she sleeps through the night, yeah! I only wish I would have tried this when the girls were babies. Curious how I use it? Basically every night after dinner we start making the tea. We begin by boiling 8-10 oz. of water on the stove top and then scoop out 1 tsp. of the loose Toddler Magic Tea. 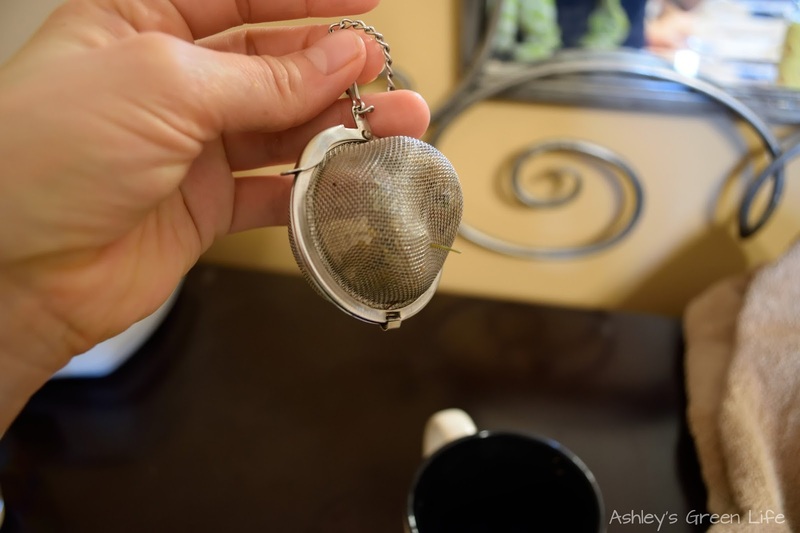 I believe the Baby Magic Tea is in a tea bag so you don't have to do this step. Here's a mesh tea "ball" I use to keep the tea together while it's steeping. hot, but not too cold either. finish it off and it even helps me sleep a bit better too. 1. 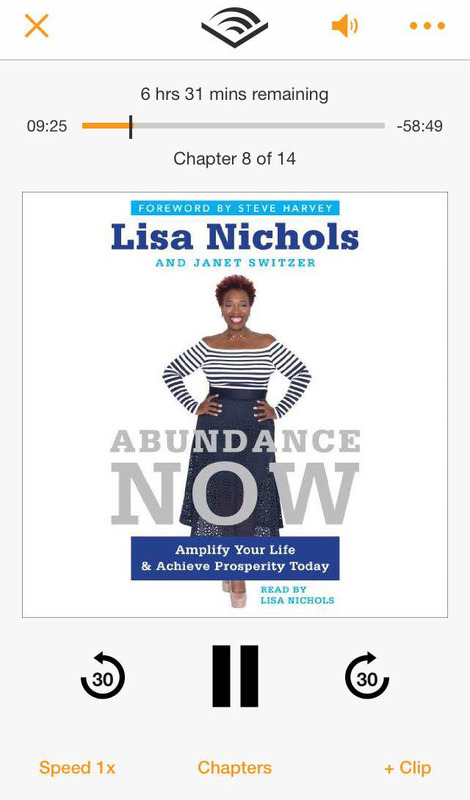 Abundance Now: Amplify Your Life & Achieve Your Prosperity Today by Lisa Nichols and Janet Switzer. I first discovered Lisa Nichols in the movie The Secret, about the Law of Attraction and I've read all of her work since then. Listening to her on audiobook is even better since she's the one who narrates the book because it's like like she's with me giving me a one-on-one talk. This book really brings some of the concepts of the Law of Attraction to life and applies them to real world situations. Specifically how it's not enough to just sit around hoping you can attract the life you want, but instead to you have to take action to get results. You have to decide, say and research what what it is you want, and then start taking steps (no matter how small) towards that goal. Even more important, this book stresses the importance of gratitude. She says that you aren't going to attract the life you want, until you can be grateful for things in your life that you already have. This was the missing link for me with Law of Attraction, because it's easy to say I want this, this and this, and I want to go here and here. But when you look at what currently have compared to what you want it's easy to feel pretty crappy and impatient, like get here now...I don't like this, I just want that! But that's where Lisa teaches you to back it up, and instead dream for the future while also feeling gratitude for all that you have right currently in your life. 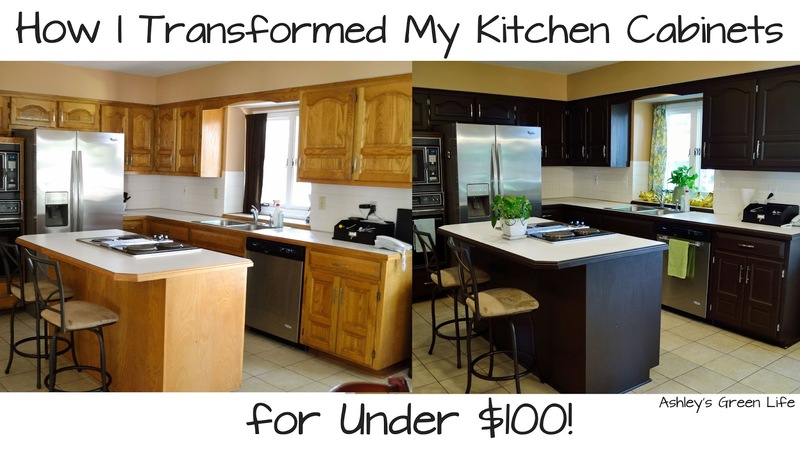 Even more importantly she challenges you to come up things you are grateful for that don't cost money. Love it. Great read if you're interested finance, abundance, success, and law of attraction. 2. The Sleep Revolution by Arianna Huffington. I fell in love with Arianna's discussion of sleep in her previous book, Thrive: The Third Metric to Redefining Success and Creating a Life of Well-Being, Wisdom, and Wonder. And when this book came out, I knew I had to get to it. Sleep for me was the missing link in my health that I discovered once my girls were born. It was the first time my sleep had been restricted in a way that was somewhat out of my control (my baby), but also in my control (trying to keep up with too many commitments and not going to bed when I should have). The result: a case of mastitis 6 weeks after Mila was born, an overall feeling of burnout and fatigue with the two jobs I was trying to keep (teaching full time and blogging), and general lack of energy. I kept trying supplements, tweaking my diet, drinking more water, and new workout DVDs, all of which did nothing to increase my energy and health. Then I read about sleep in her book Thrive and I had a huge light bulb moment! Maybe what my body is needing is not another supplement, special food, or workout and instead the most basic and free thing: sleep. So I took many strides to change my ways of getting 5-6 hours of sleep to at least 7 if possible. But old habits die hard and at times I still return back (though briefly) to my sleep cutting ways, only to be faced with the natural consequences of skin breakouts, being more susceptible to colds, and grouchy parenting on my part. 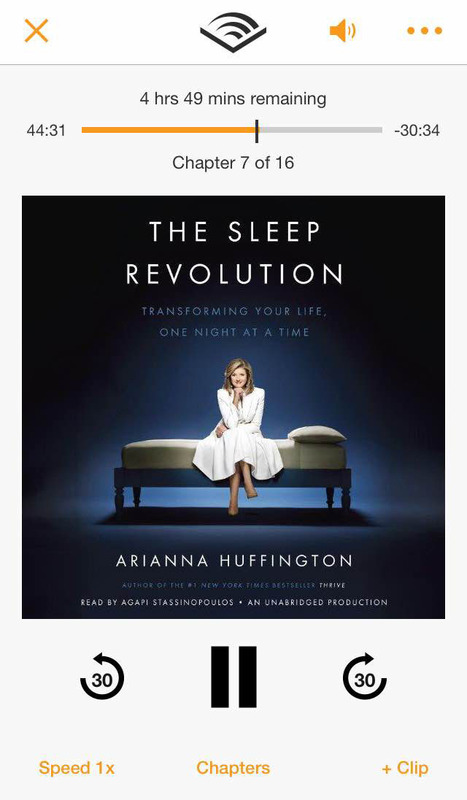 As if those moments and days aren't enough to motivate me to get more sleep, reading and re-reading Arianna's book The Sleep Revolution has helped me bring sleep back to the forefront of my to-do list and remind me just how important it is. The Sleep Revolution is packed full of data and statistics that show just how sleep deprived we are a culture, the effect of sleep deprivation on our body and even some of the science of dreams, just to name a few. Some of my favorite sections are the ones to do with sleep's impact on our health. How it affects our skin, our susceptibility to cold and illness, and even our weight. It only takes reading a chapter or two to scare me literally into wanting to get more sleep to avoid all the side-effects that come from living a sleep-deprived lifestyle. 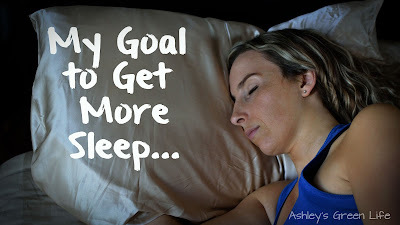 When I get my regular 7-7.5 hours of sleep each night, I don't crave extra or fatty foods, I have energy to accomplish all of my goals, I am a more patient parent to my kids and partner to my husband, and I feel more at peace with my life. What's it like for you when your sleep deprived versus well rested? Share below. And if you are as interested as I am in sleep, be sure to check out Arianna's book The Sleep Revolution. Read more about my goal to get more sleep here. Some of my favorite things to do in the summer are go to our neighborhood pool, start a few new series on TV (my guilty pleasure, currently I'm loving Doctor Thorne on Amazon Prime and Roots on the History channel, while still watching some of my favorites like Outlander and The Bachelorette), try out new recipes via Pinterest, and of course work on some new videos and posts for your guys! 1. An update on my Rustoleum cabinets, remember these? Well it's been 2 years and I've had many requests to see how they are holding up. 2. Eating out Gluten-Free, Vegan (3 restaurants!) This way you can see what I eat when I go out to eat. 4. 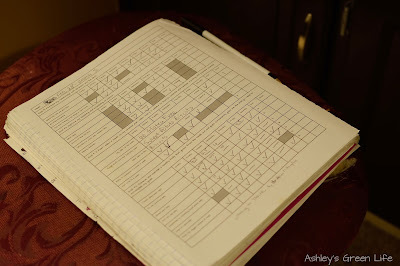 A peek at my "Rhythm Register" from the book The Compound Effect by Darren Hardy. I've had you guys ask what exactly is on these pages I'm always writing on in my journal and I'm going to show you how I make them and use them to keep track of healthy habits and goals that I've set. Well, that's about it for my summer update! 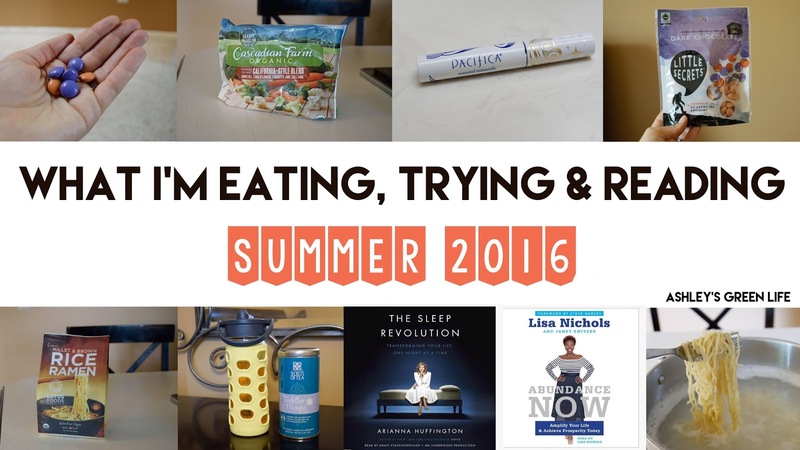 Do you have anything you've been eating, trying or reading that you love? Share below! See you next week.